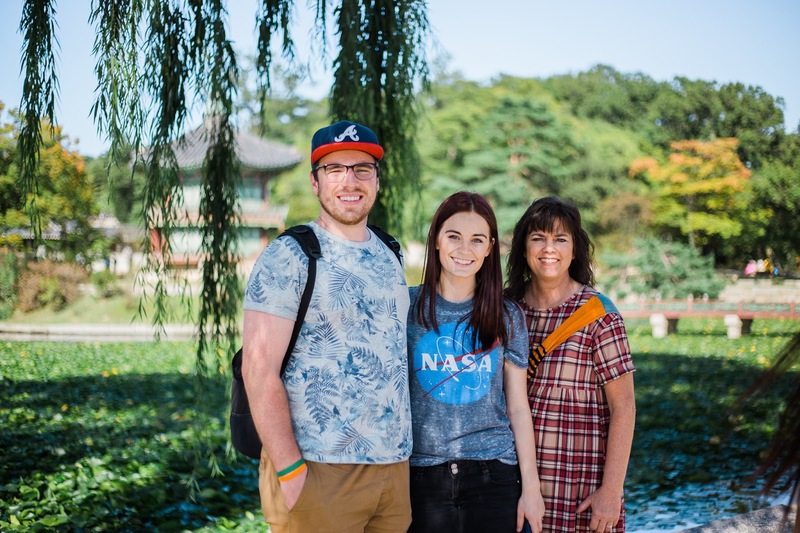 On our first full day in Korea we got to explore the well-known Gyeongbok Palace located in northern Seoul! We accidentally ended up going on one of the busiest days of the year (oops). Our gracious hosts were a bit flabbergasted by the large crowds of people; they kept continuously apologizing about how there were "too many people" there, but we weren't really bothered by it. 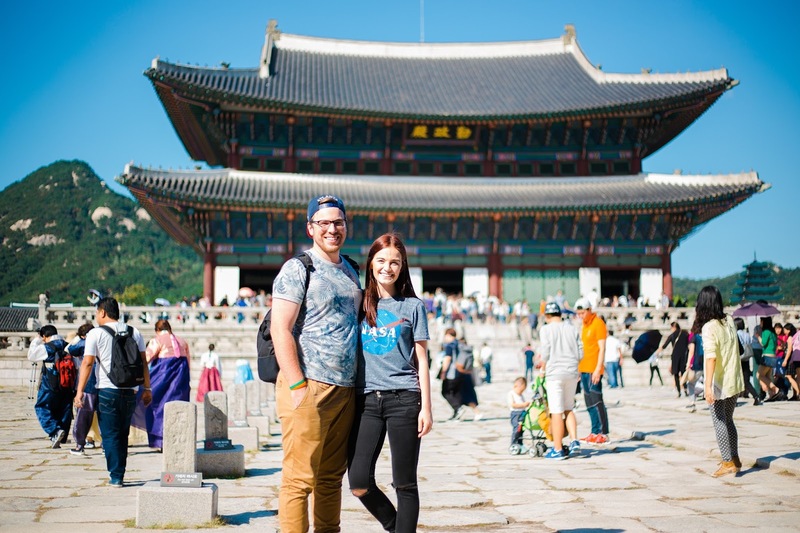 Right after we had walked through the front gates, our Korean friend basically commanded me to go and stand where he could get a good pictures of me and Taylor in front of the palace. From that moment on, he became our self-proclaimed personal photographer. He'd excitedly point to spots where he thought the backdrop would look nice, practically pose us, and then run around taking several different shots from different angles in order to get the "perfect" shot for Instagram. I was laughing so hard because he follows me on Instagram and always tells me how cool my pictures are-- I could see the wheels in his head turning as he ran from location to location looking for THE shot of the day. It was only slightly unfortunate that he was shooting on manual mode and I wan't given the chance to set all the settings the way I wanted on my camera (aka every single one of the photos was completely blown out). 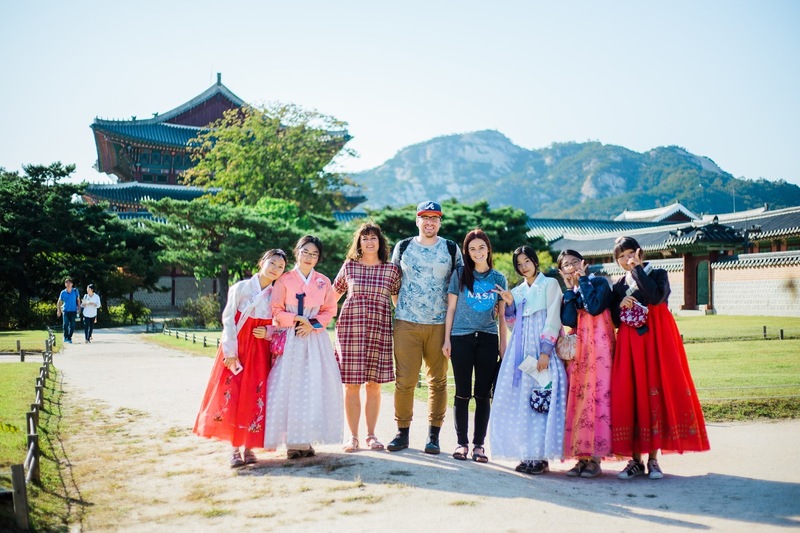 On two different occasions he literally dragged random strangers dressed in traditional Korean attire into our shots and told them to "smile and pose for the foreigners." No one has ever been gutsy enough to take my camera away from me for the duration of an entire day-- I was rather impressed. 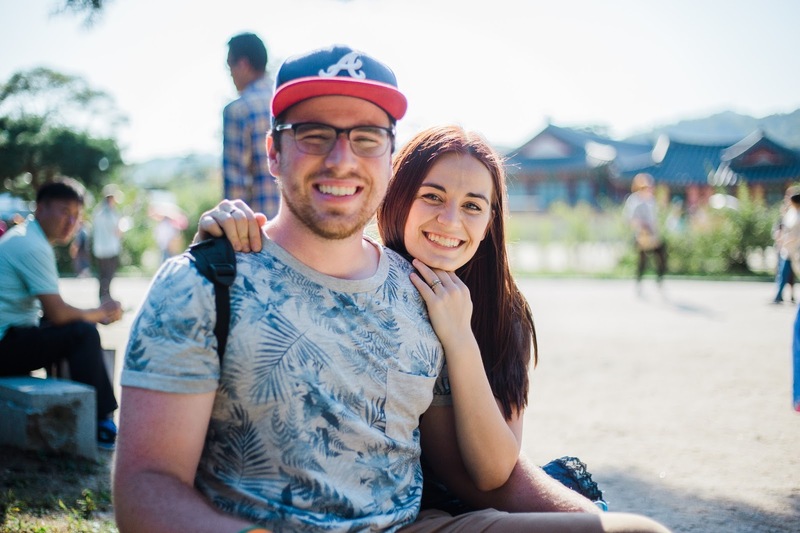 We got about thirty minutes into the tour before they made us sit down amongst a thicket of trees because apparently Taylor was sweating too much and my mom was limping... due to their high level of concern for our well-being we sat on the grass for a solid ten minutes before finally getting up to continue the tour. The ironic thing is, as soon as we got up, they confessed that they didn't really want to finish touring the palace grounds because all the buildings "looked the same" and we'd get bored anyway (hahahahaha so much respect for their historical sites). In the end, we just resorted to driving a scenic highway that wove in and out of the forest in the mountains instead of walking around in the heat with thousands of other tourists-- but that didn't work out either because too many people had the same idea and the scenic drive turned into nothing but a bunch of stopped cars and angry Koreans (let's put it this way, a five year old boy was able to get out of his car and run along the sidewalk faster than the traffic was moving). We finished our night at a traditional Korean restaurant-- the food was awesome! My mother, however, was too intimidated by the dead fish and crabs staring up at her from the table to even take the time to enjoy any of the other dishes. I will always remember the look on her face when they wheeled out the cart full of food-- her eyes looked about ready to pop out of her head and she couldn't seem to wipe the dumb-struck look off her face. We fell asleep extremely early that night thanks to the jet lag... but as a result of that, we also ended up waking up extremely early. 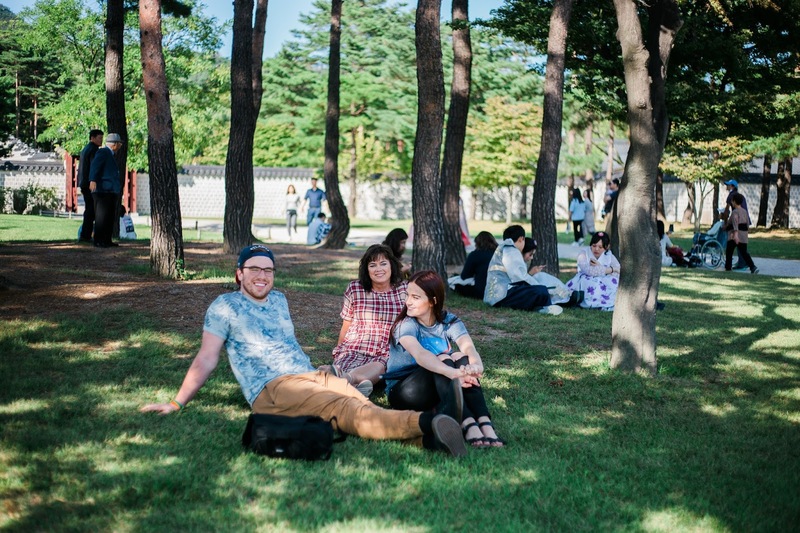 The time different from Utah to Korea is 16-17 hours, depending on the time of year. Our Korean friend dropped us off sometime around eight o'clock and I must have been asleep at least by 8:15pm. I didn't even remember falling asleep... (that became a recurring theme for me each night when we ended up in our hotel). 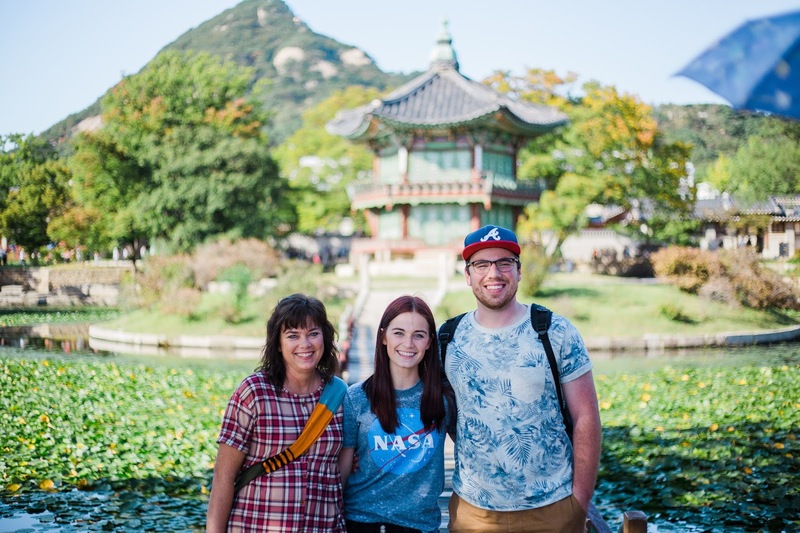 I guess the coolest/weirdest thing for me was just getting to go and experience a place that I had heard so much about but never got a chance to visit when I was living as a missionary in Korea. Many of the major tourist areas in Seoul are located above the Han River, which is where my mission ended. 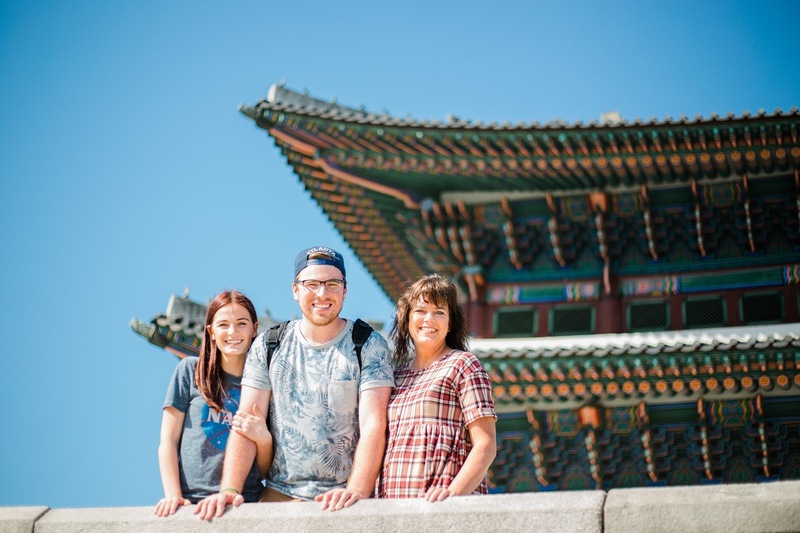 If I'm being honest, the first time we drove across the bridge to the Northern part of Seoul, I just about had a heart attack because I felt like I was purposefully breaking mission rules (some things never change, I guess). I'm still hangin' out here in Seoul! This is our last night in Gangnam and we'll be headed to a new hotel tomorrow before we head back to Utah later this week. I had a bit of downtime and wanted to take a moment to jot down some of the little details and thoughts I've had as we've been on this trip so that years down the road I'll still be able to remember what it was like to come back to my mission land again for the first time. 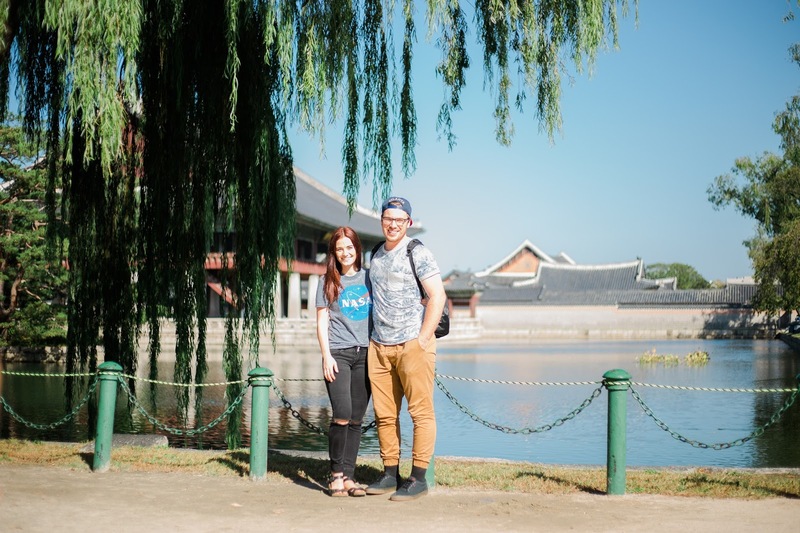 Bear with me as I share the random details from our trip to Korea! hahaha! this is hilarious! pictures seemed to turn out great though! but it is ten times funnier looking at them now that i know the story behind it! !